Going to summer camp abroad can help a teenager establish some useful life skills that they can only gain by spending time apart from their parents where they have to make their own decisions and fend for themselves. While this might sound a bit scary at first, the benefits of this type of trip outweigh the initial discomfort. For instance, your child can emerge in a new culture, study courses that can give their college applications an edge, and learn useful social and networking skills. Still not convinced? Continue reading this guide for a full list of 10 reasons you should consider allowing your teen to travel abroad for summer camp. 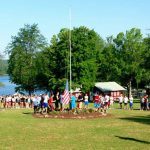 Why Send Your Teen to Summer Camp Abroad? 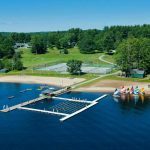 There are plenty of great summer camps here in the United States where your teenager will have a ton of fun without having to deal with too much separation anxiety. So, why exactly would you send your child abroad for camp in the summer? There are more benefits to doing this than you may have realized! While attending a summer school abroad, your child will be thrown into a more independent lifestyle that will teach them helpful skills for the years to come. Traveling alone without a parent may raise some feelings of fear and anxiety at first, but with time, those feelings will develop into the ability to make decisions, become more independent, and face challenges head-on. It’s never too early to start planning for your child’s future. So, you should certainly take opportunities to give their college or employment resumes a boost as often as possible. Studying abroad can do just that. If your child attends camp in a country that doesn’t use English as its primary language, your child will have a great opportunity to learn a new dialect. More and more employers are favoring applicants who speak multiple languages. And they are paying those candidates between 5 and 20 percent more each hour. Additionally, these travels can push your child to work harder and learn more about global issues. Just as you feel more confident when you learn a new skill or face a new challenge, studying abroad can have a similar effect on your teen’s self-esteem. And this is a very important time in life for a child to build their confidence. It’s so important that a full 75% of girls with low self-esteem turn to negative behaviors like smoking, drinking, bullying, cutting, and disordered eating as an outlet. Because going to summer camp abroad is such a life-changing event, teens who participate often build strong bonds that lead to life-long friendships. The friends they make might be from other parts of the world or United States, which is one of the many ways your child can help more about other cultures while at their new summer camp. Both children and adults grow the most when they’re taken out of their comfort zones. And during those times, you will become more self-aware. The same can happen during a trip to a summer camp abroad. Your child will also become more mature, communicate better, learn to network, think independently, and navigate new situations. Of course, going to summer camp abroad will teach your child a ton. But fun and enjoyment are very important factors as well. The activities your child will have at their disposal depends on the camp they attend. However, many will have sports, games, social activities, and excursions available. Your child may have opportunities to explore a new city, pick up a new skill, or fall in love with a new hobby when they travel abroad. These new experiences can help them become more of an individual and learn more about themselves. If you’re like most parents, you complain about how much screen time your teenager has. Teens spend about 9 hours a day in front of a screen scrolling through social media, texting, and streaming videos. Attending summer camp abroad will decrease their screen time tremendously, reintroducing your child to the real world. You can think of attending summer camp abroad as one big exercise in character building. Not only will your teen have experiences that will make them more independence and self-assured, but they will also learn teamwork and how to communicate with people from different walks of life. While character building is essential for every teen entering adulthood, this can be exceptionally beneficial if your child is shy. They will learn to come out of their shell. If your child has never been apart from you for an extended period of time, they will have difficulty adapting to life without you when they first leave for camp. However, once the initial shock has subsided, your child will become an expert at adapting and improvising their way through life. Allowing your teen to attend summer camp abroad isn’t an easy decision for a parent to make. It is understandable if you are overwhelmed by a slew of questions and worries that may prevent you from letting this trip happen. If you would like more information and resources to help make this decision easier, you’ve reached the right place. We’re here to help you find a camp where your child will fit in great.